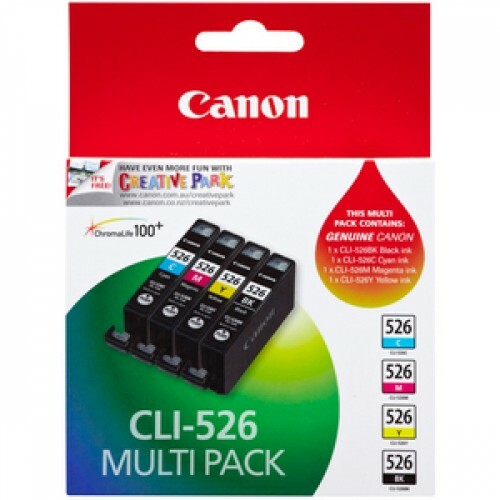 Full set of 4 Genuine Canon CLI-526 cartridges (Cyan/Magenta/Yellow/Black) in one bundle. Save nearly $20 compared to the 4 separate cartridges. Note the 5 Pack including the PGI525BK is discontinued - please order this 4 pack plus the PGI525BK separately. Yield same as separate cartridges.